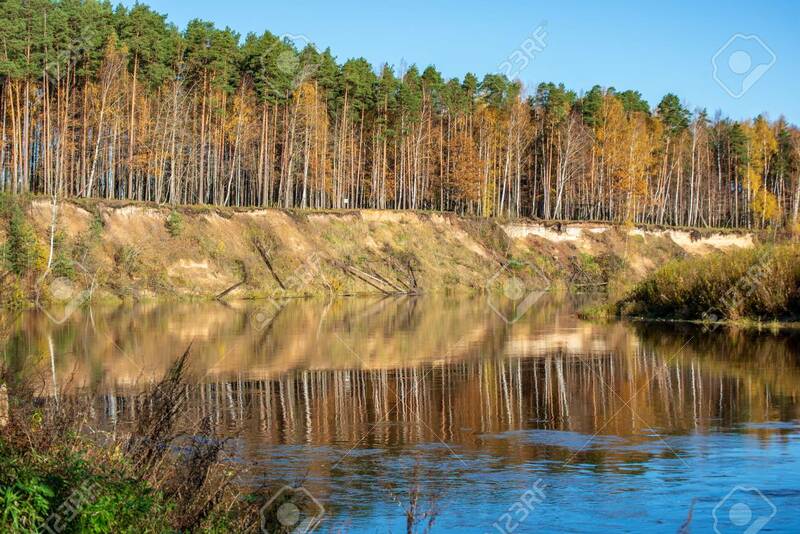 Blue Sky And Clouds Reflecting In Calm Water Of River Gauja In Latvia In Autumn. Walk On The Shore Of Riverbank. Clear Fall Day. Wide Angle View Fotos, Retratos, Imágenes Y Fotografía De Archivo Libres De Derecho. Image 116548213.